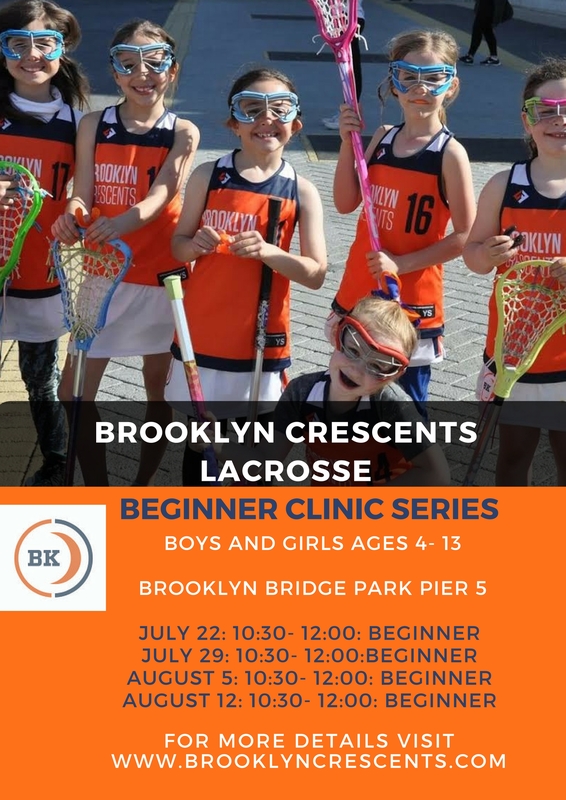 The Brooklyn Crescents present a clinic series for new players or players with less than two years experience. 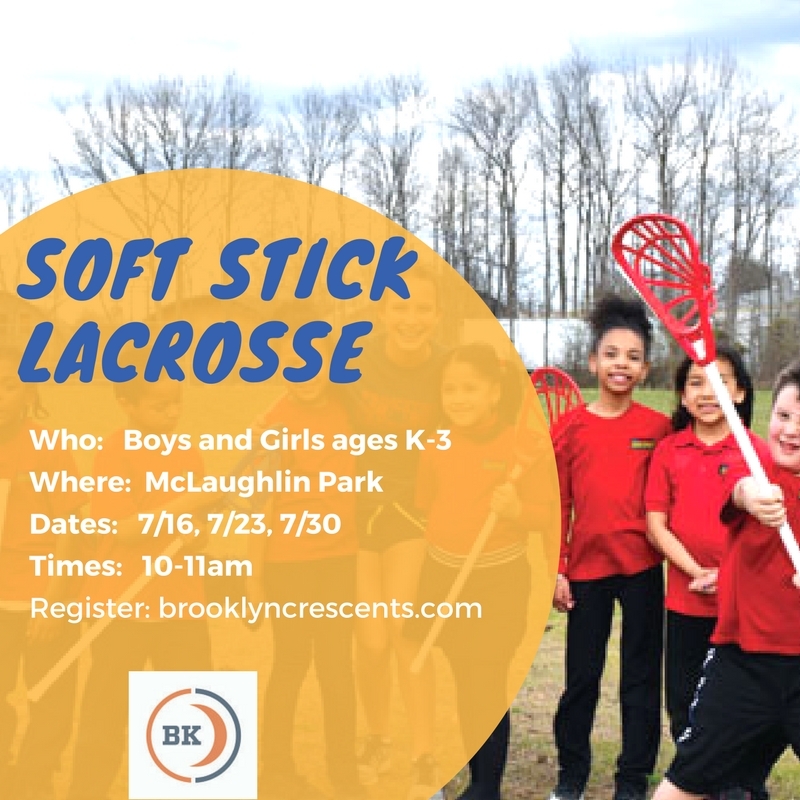 This is a beginners clinic for boys and girls ages 4-13, which will focus on stick work and fundamentals. Full helmet and pads will not be required. 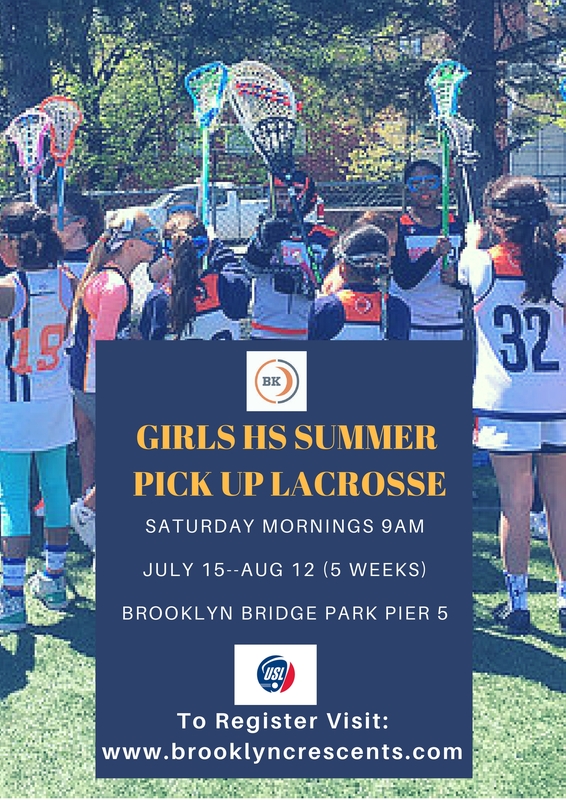 Players should bring a lacrosse stick, a molded mouthpiece, cleats or sneakers, and a water bottle. There will be a few loaner sticks available. Soft lacrosse, also known as P.E. lacrosse, is an additional non-contact version of the sport that is co-ed, uses special sticks and balls and requires no protective equipment. This version of the game is perfect for introducing children (grades K-3) to the sport and for playing lacrosse in recreational and school physical education settings. NO EQUIPMENT NECESSARY, EVERYTHING WILL BE PROVIDED! 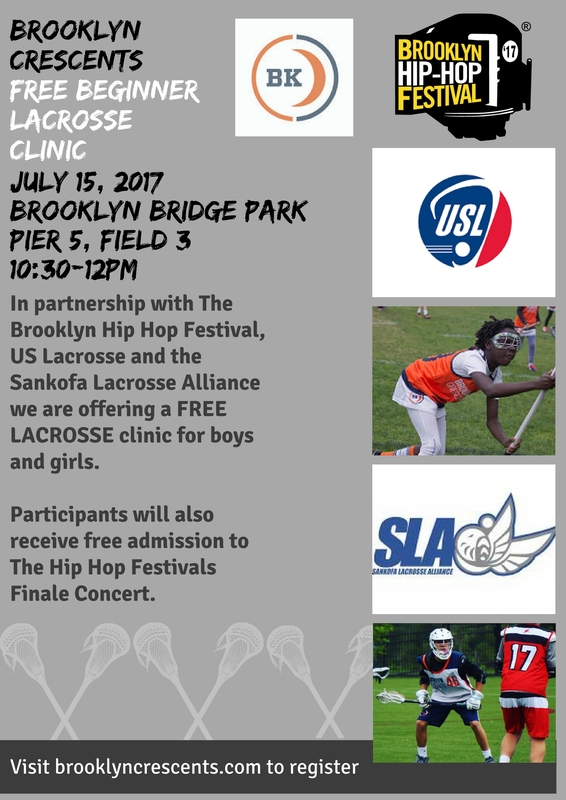 We have partnered with The Brooklyn Hip Hop Festival, US Lacrosse and the Sankofa Lacrosse Foundation to offer a free youth clinic for boys and girls Ages 6-13 at Brooklyn Bridge Park. Headlining this year’s Festival is DMX. The Yonkers MC shines as one of the most honest artists to put words to wax. Joining DMX are fellow Ruff Ryders The LOX. Jadakiss, Styles P and Sheek Louch united over 20 years ago to form one of Hip-Hop’s most enduring groups. Also joining the bill is singer/song-writer/actor, renaissance man, Staten Island’s own Mack Wilds. Niambi Sala and Thandiwe aka OSHUN will also be blessing that Main stage on July 15th. Legendary DJ duo Stretch and Bobbito, famed radio personalities whose influential radio show defined an era of Hip-Hop will be DJing next door in St. Ann’s Warehouse. They will all be joined by Festival house DJ, Rob Swift, hosts Uncle Ralph McDaniels and Torae and many more Finale Concert artists to be announced. Featuring: DMX, The Lox, Stretch & Bobbito, Mack Wilds, Oshun, DJ Rob Swift, and more Hosted by Uncle Ralph McDaniels and Torae. This is a competitive not for first time players. This is for 2017 High School Pick Up League - open to high school players. This is old style pick-up lax, but with certified officials. Starting June 29 through July 27. 5:00 PM Players arrive and pick teams, warm up. 5:30 PM Face-off. Based on turnout, we'll play 10 v 10 or fewer. 15-minute running time quarters with 2-minute water breaks between quarters/halves. Open to ALL High School Players - Graduation years 2021-2018: Body checks will be strictly regulated. 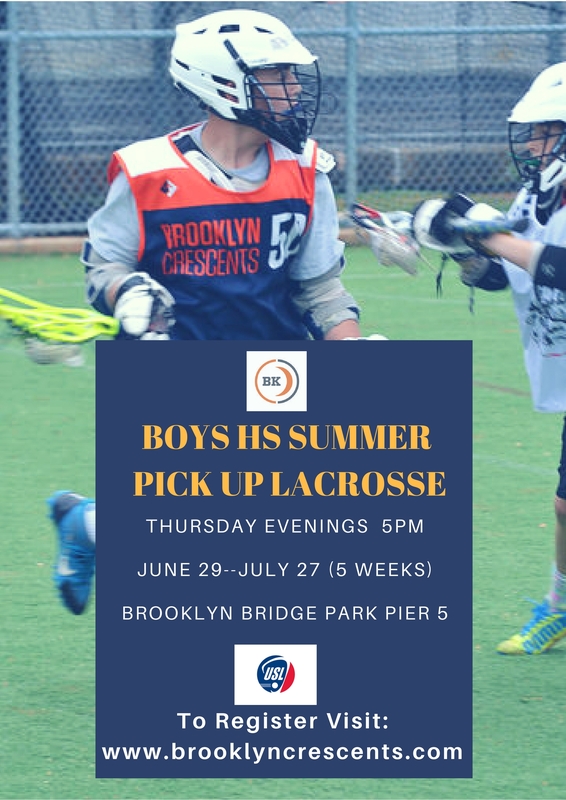 Pick up style play, coaches will be provided. If you are a goalie please email jnardi@brooklyncrescents.com for a discounted rate! Starting July 15 through Aug 12. 9:00 AM Players arrive and pick teams, warm up. 9:15 AM Draw. Based on turnout, we'll play 12 v 12 or fewer. 25-minute running time halves with 3-minute water break/halftime. Open to ALL High School Players - Graduation years 2021-2018: checks will be strictly regulated. If you are a goalie please email for a discounted rate!